Spring Break is in session! Whether you like to eat, sleep or adventure during your breaks, New York City has it all. Here are our top picks for spring break activities in NYC. You’ve just arrived in the city that never sleeps, and what is your first step? Pizza. There are so many options around every corner and we suggest trying all of them. Here is a great list to get you started. Grab a slice and keep walking because you’ve got a lot to do! 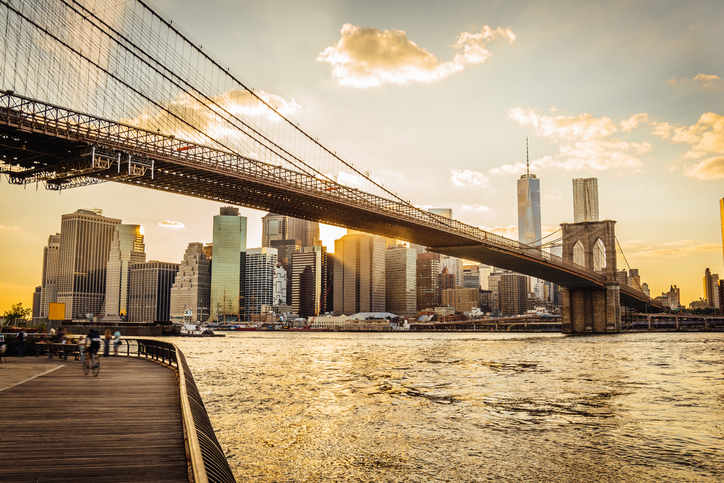 The Brooklyn Bridge is timeless and gives you an iconic view of the city. Once you take pictures and enjoy the skyline, head south, toward Battery Park. Here you’ll find a great view of the next item on your list, The Statue of Liberty. Give me your tired, your poor college students, yearning to breathe free. 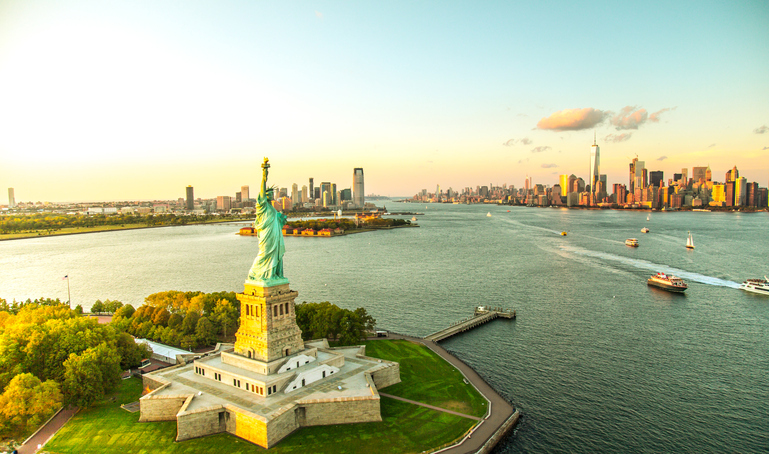 The view of the city from Liberty Island is amazing, and Lady Liberty is a sight to see. Tickets must be purchased for the ferry boat that brings you to Liberty and Ellis Islands, but the monument site itself is free. You can even purchase tickets to climb to the top of her crown! Spring marks the beginning of the festival season! 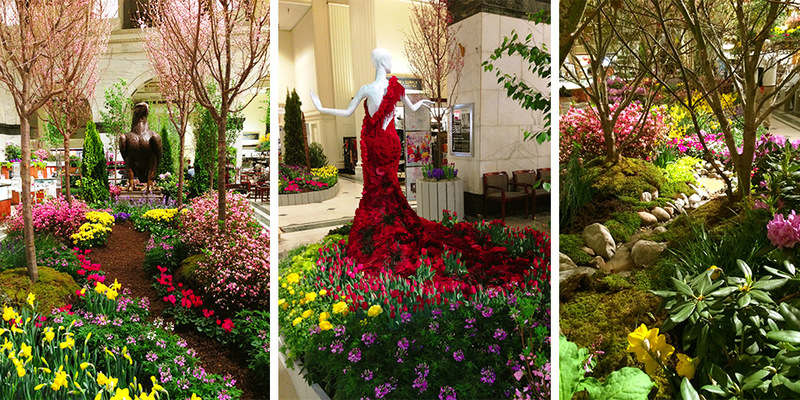 Time Out has tons great suggestions like jazz and drink festivals, and we are ready for the Macy’s Flower Show on 34th Street. 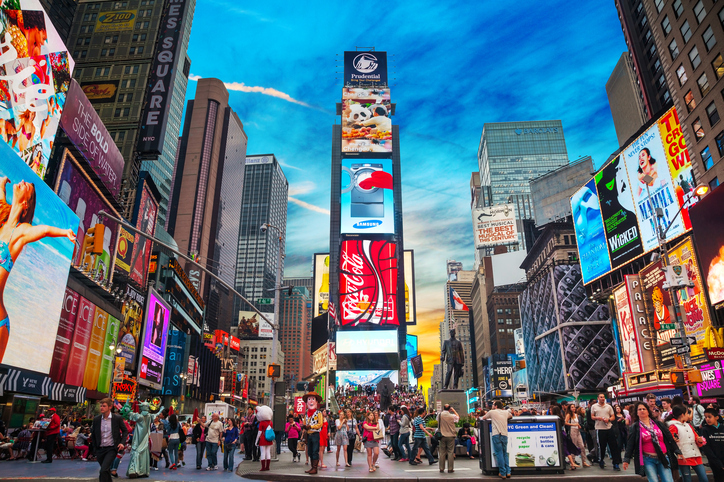 Times Square is the center of New York (and arguably, the world!) The “I Love NY” merchandise is eclipsed by the amount of business, trade, and art that happens here. Broadway and the worlds best retail, media, and entertainment companies are just a step away. There are so many trendy, silly, and fun food spots in New York City. 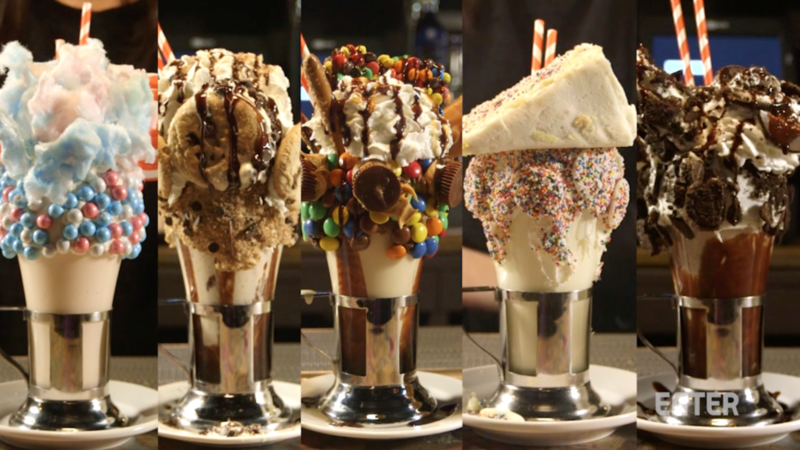 Some of our favorites are Dō, a shop that sells uncooked cookie dough, and Black Tap, a burger joint known for its crazy milkshakes. 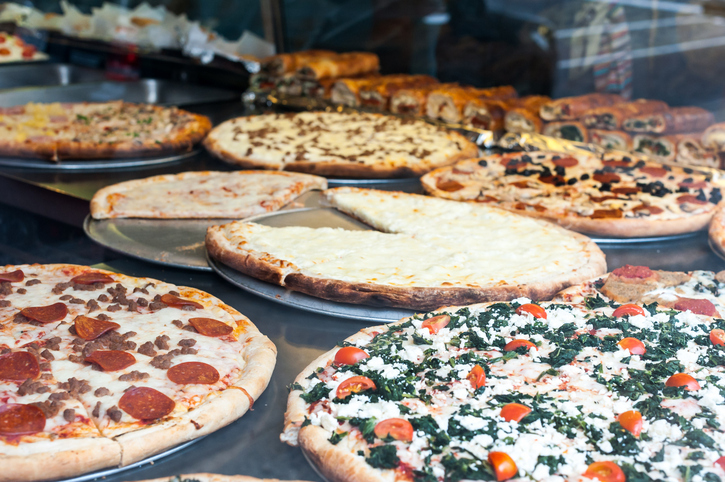 Don’t forget that NYC is known for its wide variety of cultural foods so don’t miss the bagels, cheesecake, Chinese, Italian, and Greek foods, too. Spring is the busiest time for Broadway. New shows are opening every single day, and the Tony Awards are just around the corner. 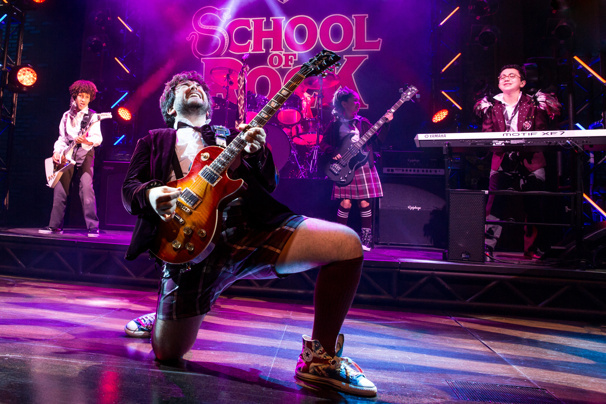 Here is a list of the Broadway shows opening in NYC this season. While you’re visiting this beautiful city, don’t be out of the loop! Follow us on Facebook and Twitter for more insights.